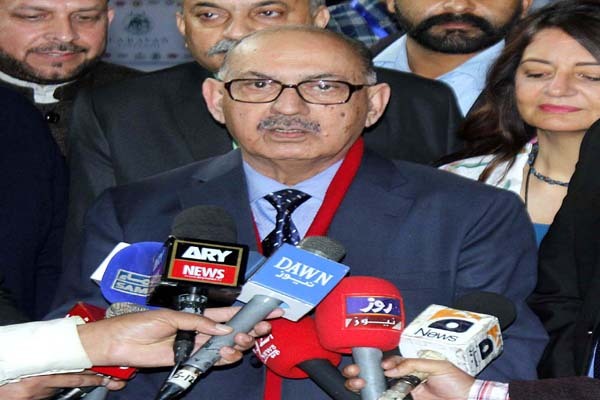 LAHORE, Feb 2 (APP): Prime Minister’s Advisor on National History and Literary Heritage Irfan Siddiqui Thursday said that Pakistan Army would provide support in conducting census and there was no obstacle in this regard. Talking to the media persons after inaugurating the International Book Fair at the Expo Centre here, he said the army would help conduct the sixth ‘Population and Housing Census’ in an organised manner. Earlier, the census were conducted in 1951, 1961, 1972, 1981 and 1998. According to the constitution, it was mandatory to conduct census in each decade, he added. said that all political parties were on board in this regard. Acknowledging the performance of military courts, he said that there was no doubt that these courts carried out their responsibilities effectively and provided relief to the people, adding even hardened criminals were scared of these courts while committing crimes. He told a questioner that detention of Hafiz Saeed was not related to Kashmir issue, adding that those running the state affairs would have to take decisions in greater national interest. ethical and diplomatic support to its Kashmiri brethren. Siddiqui said that he was impressed by the book fair, being held at Expo Centre, adding that such fairs would help promote book reading habits among the people. He praised the organisers of the fair and urged them to continue such activities in future as well.